Last week I was reading Mark Graban’s latest book, Measures of Success, which does a great job of discussing how to use data to effectively lead and manage an organization. With new technologies it has become so easy to capture data that we often go overboard – and really never understand why we are grabbing data and what it actually means. One concept in the book is learning to discern true signals from noise, and then doing something about them. This made me ponder when signals might be lost (or improperly conjured?) among noise in qualitative situations. Actually, a more correct analogy is the classic lean concept of draining water – waste – to expose rocks – problems. It hit me that I had just experienced such a situation with a medical condition I hope I’m recovering from when you read this. I began noticing the problem a few years ago after I injured my shoulder yanking a bag out of the overhead compartment of a plane. Work outs, particularly movements that put pressure or strain on the shoulder (pull ups, push ups, burpees, sled push, even a downward dog!) have become increasingly painful. However until recently it has been easy to modify and still get a decent work out so I just chalked it up to aging and moved on. During regular daily activities I usually don’t notice any pain, and I’ve always been able to sleep well. Those daily activities covered the real problem, which I realized when I did the silent retreat I told you about last June. Surrounded by silence and tranquility, I soon realized I was really, and unexpectedly, in constant pain. I also realized that I was modifying my normal activities to compensate far more than I realized, from eating to how I hold a book while reading, to even how I grip the steering wheel in a car. That was the signal that something needed to be done. An MRI and visit to the doctor confirmed the diagnosis and that the problem was only going to get worse. Surgery was recommended. Where else may you be experiencing a qualitative problem that is being hidden? Is the overall great outward performance of a team member masking an underlying issue where she or he is actually unhappy or has untapped potential? Perhaps that overgrown section of garden is hiding the gopher hole of a varmint that is silently destroying your yard? Does your team need to go offsite for a day, without cell phones and email, to properly focus on and discuss issues? The analogy is admittedly not perfect, but the point is that sometimes problems, and their scope, do not become apparent until extraneous information is removed. If you see a potential issue, isolate it and focus on it, and see if it is something larger. Then do something meaningful to correct it. For the past several years I’ve been fascinated by how we think – and how that affects us, our leadership, and the organizations we’re a part of. A couple years ago I wrote about the beginner’s mind and the various forms of bias, particularly confirmation bias. Over the past couple months I’ve read three books that have expanded my view of how the world around us can influence how we think, and they have made me wonder about the impact on observation, discovery, and problem solving. First off was Factfulness by Hans Rosling. Why do our perceptions seem to err to the negative when it comes to facts and opinions about the world? In the last fifty years the percentage of people living in poverty has fallen from 50% to less than 9%. 90% of girls (and 92% of boys) worldwide attend primary school, and violent crime has fallen significantly everywhere, yes including the U.S.. There are similar stories for the vaccination rate, deaths from disease, and deaths from war. Not every statistic, of course, but many of the ones we often read about. After millions of years of evolution our brains are wired to look for the dramatic and to pay attention to the negative as that often signals potential danger. In addition, we also retain a frame of reference partially governed by facts fed to us in our early education – which for some of us can be forty or fifty years ago. Perhaps most importantly, it is difficult for us to recognize the compounding effect of slow but continuous improvement. It’s not “dramatic” and there is also little incentive for journalists to report on it so we simply may not hear about it. Next up was But What If We’re Wrong? by Chuck Klosterman. Yes, the cover is really upside down. Klosterman’s books are always a bit of a crazy treat as he likes to dive into unusual subject areas, but they are enjoyable and thought-provoking. In this book he tries to “take a look at this present as if it were the past.” In effect, many years from now, what will people think of us? He dives into a variety of topics such as music, literature, the plight of the Native Americans, architecture, and physics. Klosterman interviews a variety of people, often on two sides of a perspective on a single topic, for example Neil deGrasse Tyson and Brian Green on whether we believe our understanding of current physics will remain solid into the future. Aristotle created an understanding of gravity that was accepted for almost two thousand years until it was upended by Newton, whose version was significantly tweaked by Einstein just relatively recently. Tyson argues that thanks to the rigor of math-based experimental physics over the past century, current theories will stand the test of time. Green believes we have only scratched the surface and our current understanding will appear analogous to old theories we’ve discarded and sometimes even ridicule. How quantum physics is beginning to link the physical world with consciousness and the incredible unknowns of a potential multiverse makes me lean toward Green’s position. Finally, Walter Isaacson’s Leonardo Da Vinci is easily the most intriguing and well-written biography I’ve ever read – on anyone. At over 600 pages it is daunting, but after you start it is hard to put down. Like a typical biography, I learned about his stupendous intellect – such that he had inferred the first and third laws of motion two hundred years before Newton and figured out how the heart’s aortic valve worked more than four hundred years before medical science. 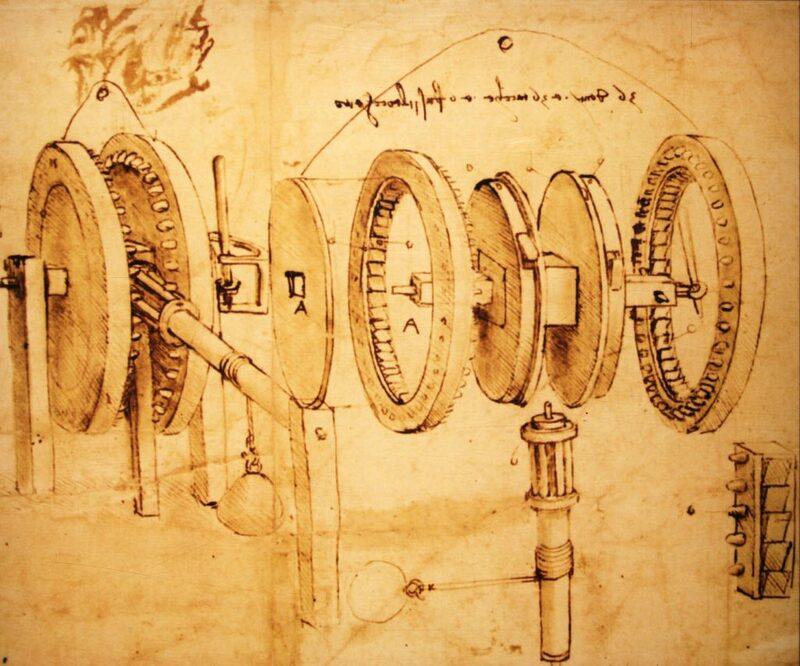 But where Isaacson really shines is his description of Da Vinci as a human and his creative process. He had no ego, loved knowledge for the sake of knowledge, didn’t compete with other intellectuals, and didn’t care what other people thought of him. Unlike another genius of his era, Michelangelo, he was comfortable about being openly gay, and society and the Church accepted and even embraced that. Like many geniuses he was a perfectionist, but unlike most he was also an admitted procrastinator. This led to many failures, and he learned to embrace it. He knew when to stop and simply abandon a creative direction – whether it was art, a machine, or an anatomical investigation. He would then take a step back, reflect on what was learned, and often try a radically different approach instead just an incremental adjustment. He was conscious that what he was observing may not be the whole story – or even accurate – and believed a small change could be just a waste of time. The three books impact completely different angles of thinking, but have made me ask more – and deeper – questions about thinking and observation. When we’re enlightened enough to leave the conference room and visit the gemba to “observe reality” are we really seeing it? In addition to the usual biases, are we able to recognize small ongoing activities that may compound to have a major impact in the future? Is the inner Neanderthal in us skewing the impact of the negative over the positive? Much has been written lately about Elon Musk and Tesla building Model 3s in a tent, with lots of inventory, fixing problems after the cars are built (like GM did decades ago), “nano management,” and pounding on people. Seems like a trajectory to catastrophe, and I count myself in the camp of those that don’t want it to happen but believe it probably will. But if we take Klosterman’s “look back from the future” perspective, what if these difficulties are the birth throes of something new and improved – perhaps even over lean and TPS? Highly unlikely in my opinion, but I should be open to the possibility. Can we discard the perspective of lean purism (or is it “puritanism”…?) and our own experiences with manufacturing and objectively consider it? Failure is something we all deal with, in different ways. Kata teaches us to try planned experiment after planned experiment, learning from the results of each and making small incremental changes to iterate to a desired future state. But what if, in some cases, a better approach was to just say “screw it!” (ok, in a more reflective manner and creating some learning!) and point the arrow at a radically different place? It’s not “scientific” (or maybe there could be some PDCA around that new radical direction?) but maybe it would save another year of iterating down a path that may not bear fruit? The important point is to question what we are observing, thinking, and intuiting. How are we affected by bias, by our framework and viewpoint, and by not fully understanding that context? If we took a “look back from tomorrow” perspective, how would our thoughts change?